One thing I found as a solution was to unlock your phone first prior to connecting it to PC with USB cable but that did not help me so I kept on troubleshooting. I already had checked whether my iOS and iTunes were updated and whether device drivers are installed properly on PC and updated and everything was fine and up-to-date. The last thing that seemed possible to upload it on iCloud or similar such cloud storage or email and download it from there but being an engineer I did not accept that solution. After all my hard work I found one good software that came to rescue! Yes, ladies and gentlemen hero of the day was PhotoTrans from iMobie. 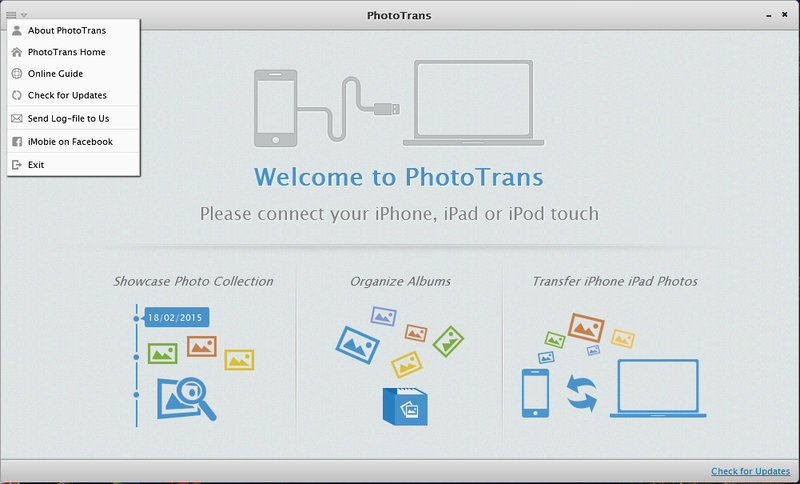 It allows you to access and export all the photos stored in your phone. You can also delete photos and albums from it. It has Mac like look and feel which provides beautiful GUI. Free version only allows to export 50 photos so in that case you need to purchase premium version. You can't delete items created inside system folders.